When I tried to interest Carol in visiting this park, she just said “No thanks – I’ve been there.” This being just 10 minutes from our house and the only state park less than an hour’s drive away, I wanted desperately for it to be a destination worthy of frequent visits, a place to invite guests, and frankly a park to call my own. Great parks are wonderful any time of year, good weather or bad, open or not. They have great views, or interesting natural features – stones, waterfalls, beaches, mountains – there are so many possibilities. Alas, Thetford Hill doesn’t make the grade. It once was known for its views from the top of Sunset Hill, but that was in the 1930’s when much of this area was deforested. Today, the views are but a memory, obscured by the forests that long ago reclaimed the open fields and pastures. There used to be a campground here but undoubtedly due to low usage, it has been closed to the public and is now leased out as a private adventure summer camp. So what is there left to see at Thetford Hill? Answer: a trail. 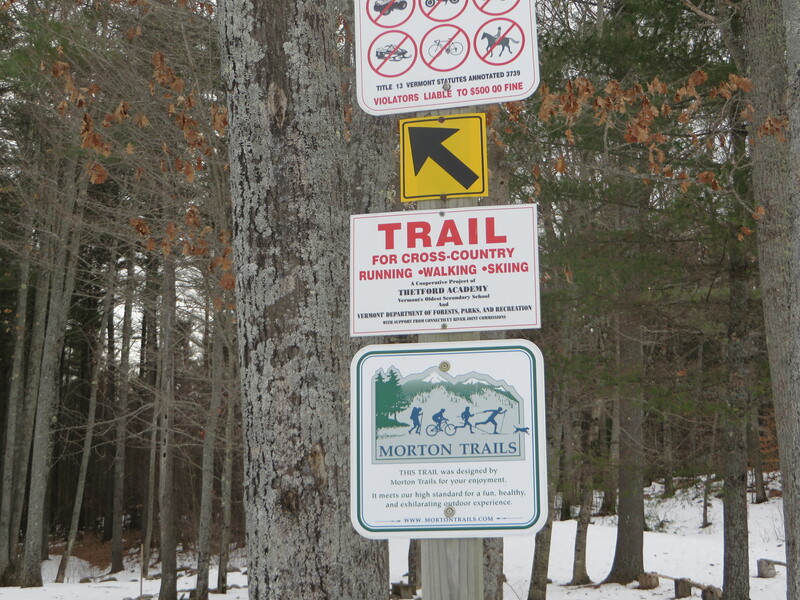 A professionally designed 5K trail perfect for running, walking, mountain biking, and x-country skiing. So if a workout is your thing, then this park is a great choice. It’s not calling my name though. For a hike, I like a destination, a view, or a body of water. I haven’t done x-country running since high school. Skiing and biking might work out, but there are lots of other interesting trails in this area to choose from. Admittedly, picking New Year’s Day to visit was probably not giving the park a fair shake. What snow there was had mostly melted, so I hiked the trail and visited the picnic area, once the site of “Sunset Hill”. None of it was inspiring me to come back and I began to agree with Carol’s sentiment. 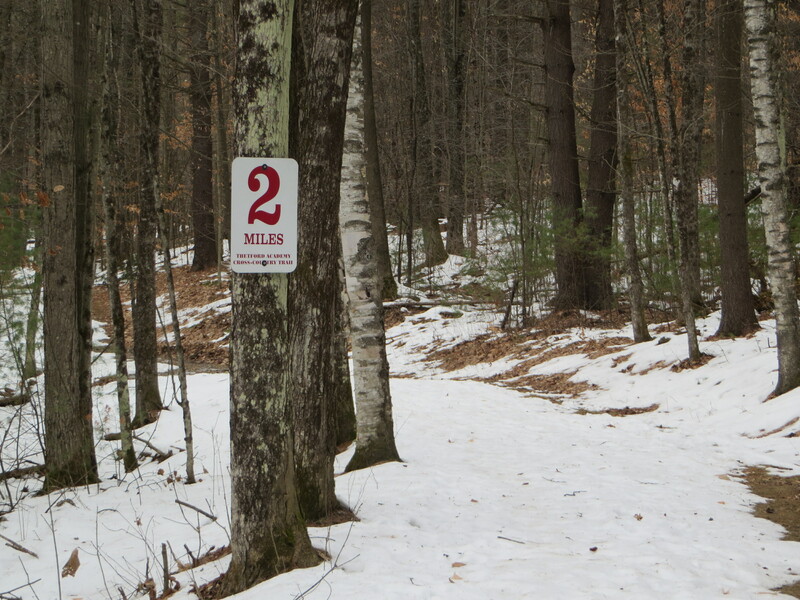 Who knows, with some good snow cover I’ll bet the skiing would be a lot of fun … well at least a good workout. 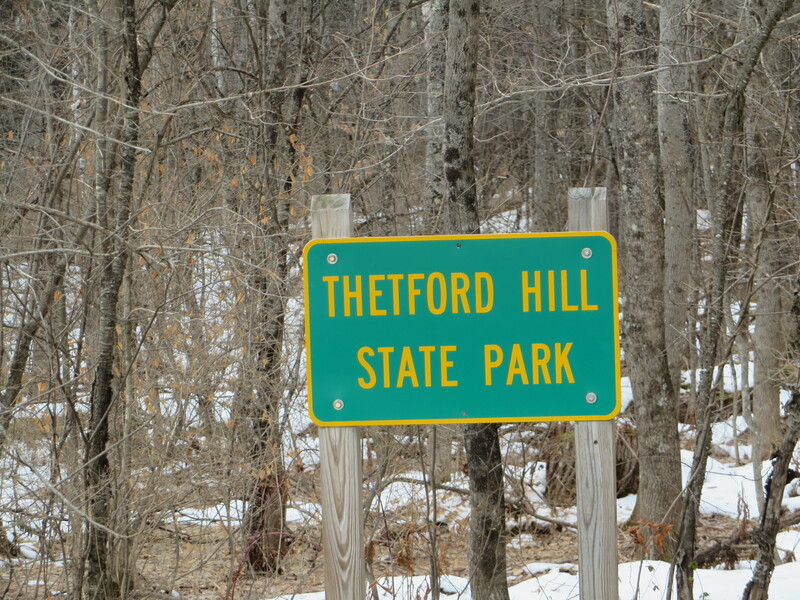 So sadly Thetford Hill State Park gets relegated to my “C List” parks – meaning only worth a visit if you are already in the area and in the mood for what it has to offer. Happy travels! End of blog. Paging down may expose you to ads. 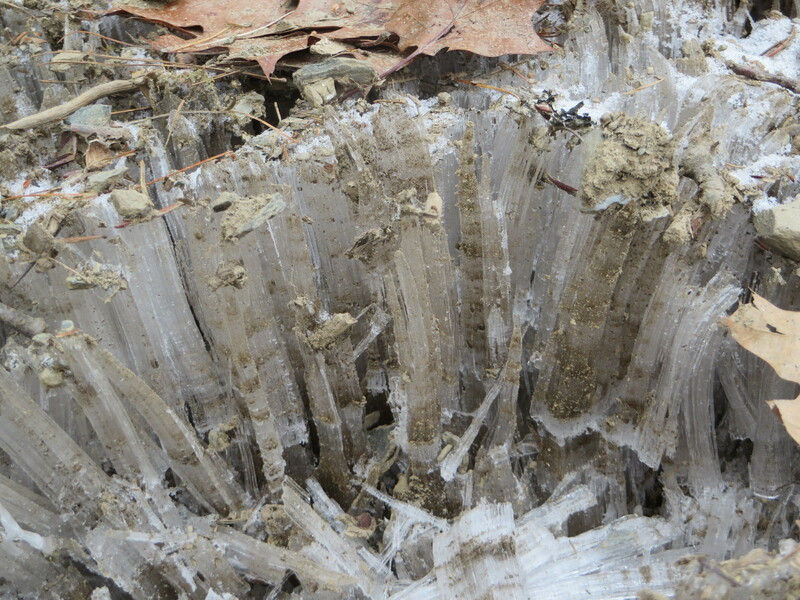 ← Texas Falls – Better in Winter?